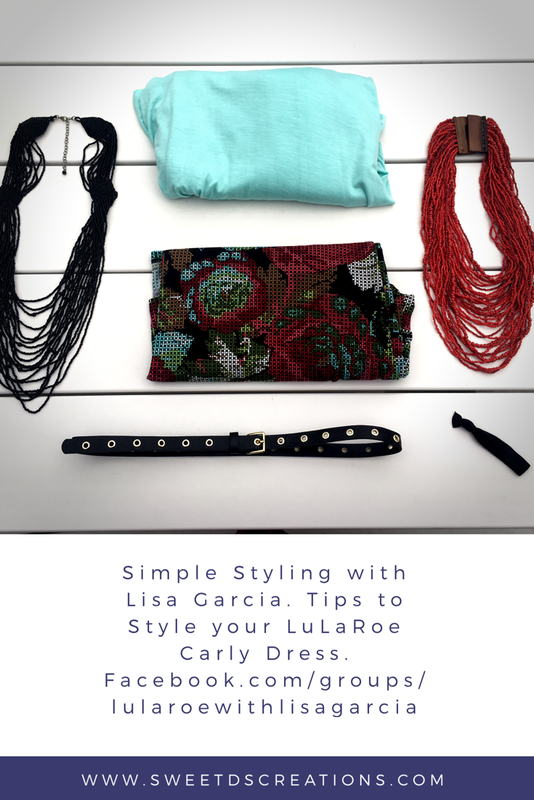 For our #trysomethingnewsunday, I teamed up with Lisa Garcia from LulaRoe to be taught simple styling tips to dress up your outfit. Over the next few months I will be showcasing women who take care of their family and home while running their own businesses. I was so fortunate for Lisa to be my first guest in this process. Lisa was one of the female business owners featured at my Summer Boutique and she is an amazing mom and entrepreneur. I was inspired by Lisa’s love and passion for her LuLaRoe business. A few weeks ago, I asked Lisa if she could join me and teach me a craft for my #trysomethingnewsunday segment. Lisa decided to teach me her craft of simple styling tips to dress up my outfit. Styling is definitely not my expertise, so I was very excited to learn some simple styling tips, especially ones that don’t take a lot of time and can be done on my own outfits. As a busy Mom, I rarely take a moment to pay attention to my clothes. I often throw on jeans and a hoodie and run out the door. At the parks and school pick ups, I see other moms dressed nicely. 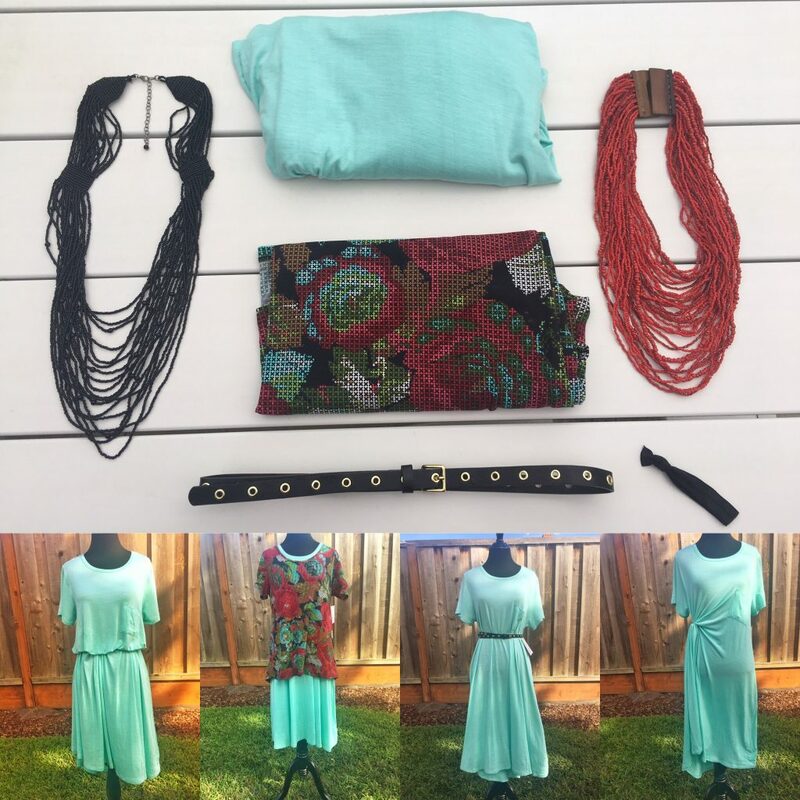 I think to myself, “How do they have the time to put together such a cute outfit?” After meeting with Lisa I now understand that styling your outfit doesn’t have to take a lot of time and can be easy to do with her tips outlined below. Lisa has two beautiful children and left her full-time career as a speech therapist to be a WFHM (work from home mom) at the start of 2017. She is an early intervention speech therapist twice a week and the rest of the time, she works her business as a LuLaRoe retailer in the Bay Area of Northern California. 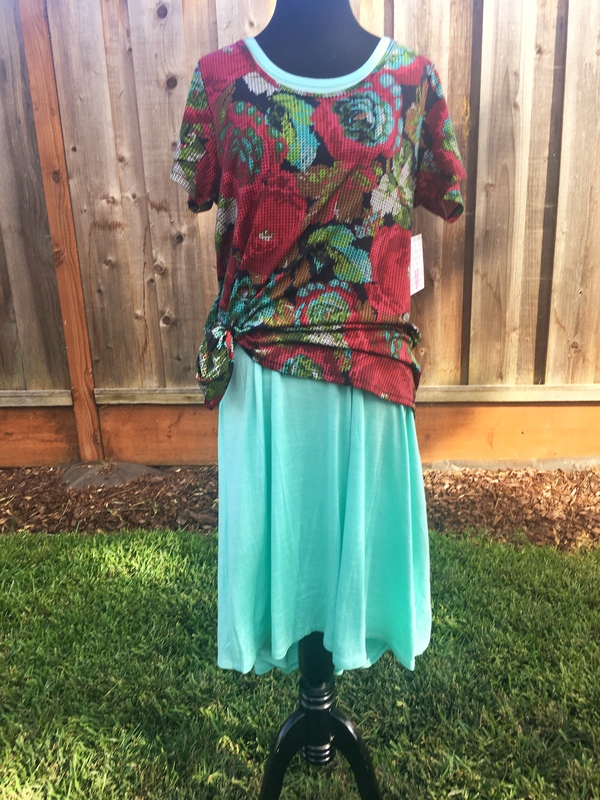 Lisa has always loved fashion and she fell in love with the LuLaRoe clothing and now gets to stay home with her kids and sell their clothing. Her business as a LuLaRoe retailer continues to grow with her frequent pop ups and large online Facebook group LuLaRoe with Lisa Garcia VIPS. Being a Mom takes up her entire day, but she is able to slip in a little time for showcasing her outfits of the day, hosting her album sales throughout the week, and bringing her inventory to customers’ homes to hold Pop Up Parties. In addition, to the simple styling tips listed below, I also asked Lisa a couple styling questions. What do you enjoy about being a LuLaRoe retailer? Where do people usually go wrong with fashion? What essential pieces to own to style yourself every day? 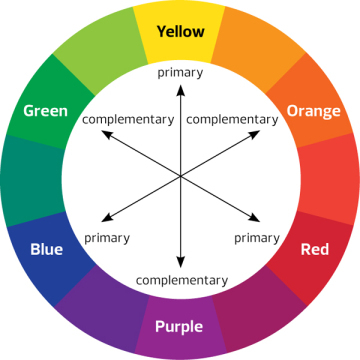 This color wheel is what Lisa uses to help people find colors that complement each other. To use, you look at the primary color then follow the arrow to the related complementary color. So purple, complements yellow, etc. 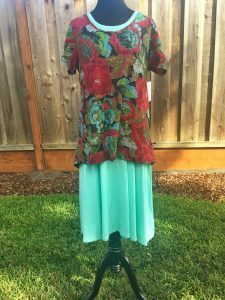 Lisa walked me thru 6 simple ways to dress up a LuLaRoe Carly dress. The techniques below apply to various types of outfits. I wore a Mint Blue Carly dress for the styling session. The Carly dress is very versatile, it looks great alone or you can dress it up to enhance the look of the Carly dress. Be sure to watch the video at the bottom to see Lisa explain in detail each of these styling tips. Find a chunky statement necklace to dress up your outfit. The chunky necklace can be a bright color or black. Matching the necklace to your shoes helps to bring the whole outfit together. 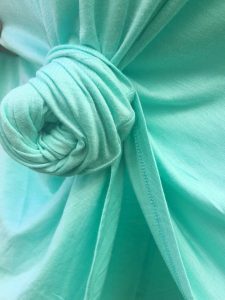 Tying knots on the dress can be done in a few different ways. This was a technique I hadn’t heard of, so I was happy to learn it. You can do this on one side at the bottom of the dress or on both sides. 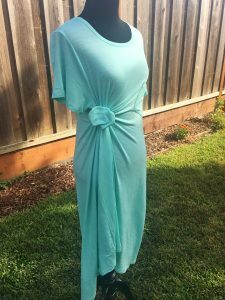 If you don’t like the end of the knot sticking out you can tuck it in. Using a hair tie, you can create a cute flower on the inside or outside of your dress. 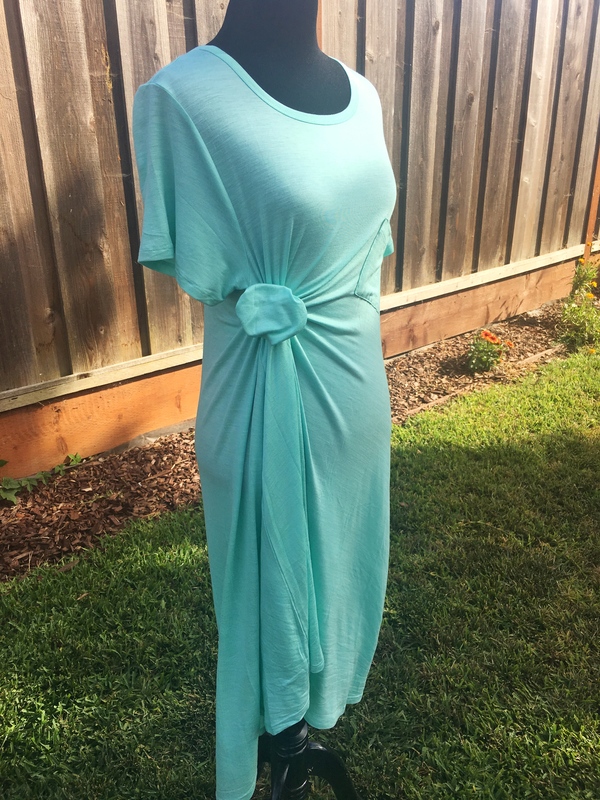 Adding the hair tie gives the Carly dress a layered cinched look. You can do this on the side, front, or back of your outfit. Add a belt that matches your shoes to dress up the outfit. The belt can be the size of your choice, either thick, thin or anywhere in between. We went with black leather belt to match my black shoes I was wearing with the dress. This is a slightly different take on the tip above and it creates a completely different look. Take the belt and pull it up, right below your chest. 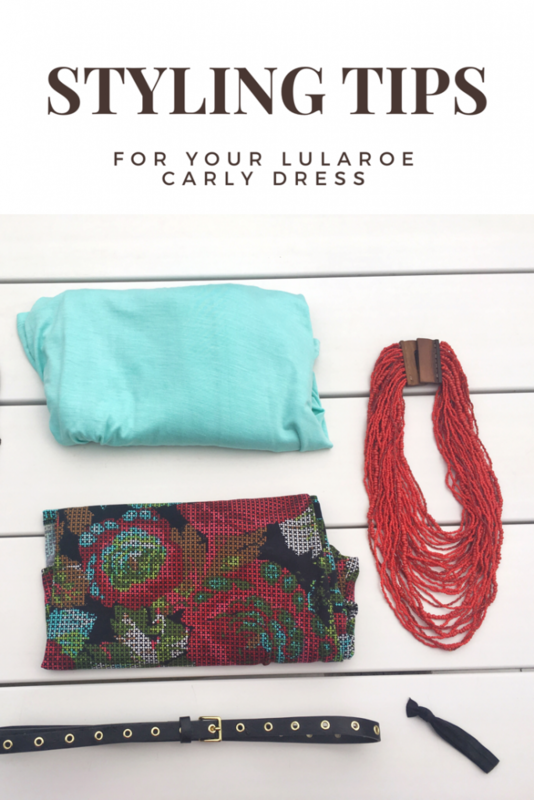 Pull the Carly dress over your belt to cover it. The belt should be hidden. Add a colorful top over your Carly dress. This is great for when it’s cold outside. 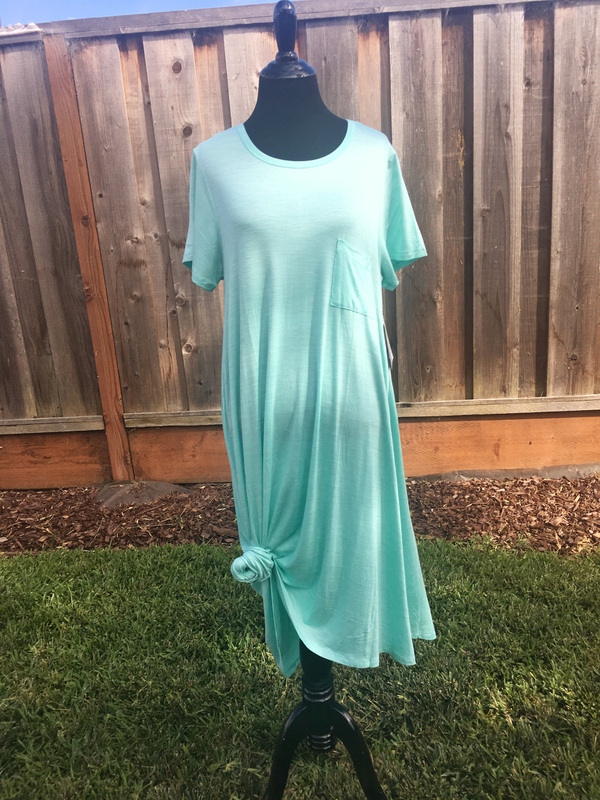 Wearing a shirt, make the Carly dress appear as a skirt. 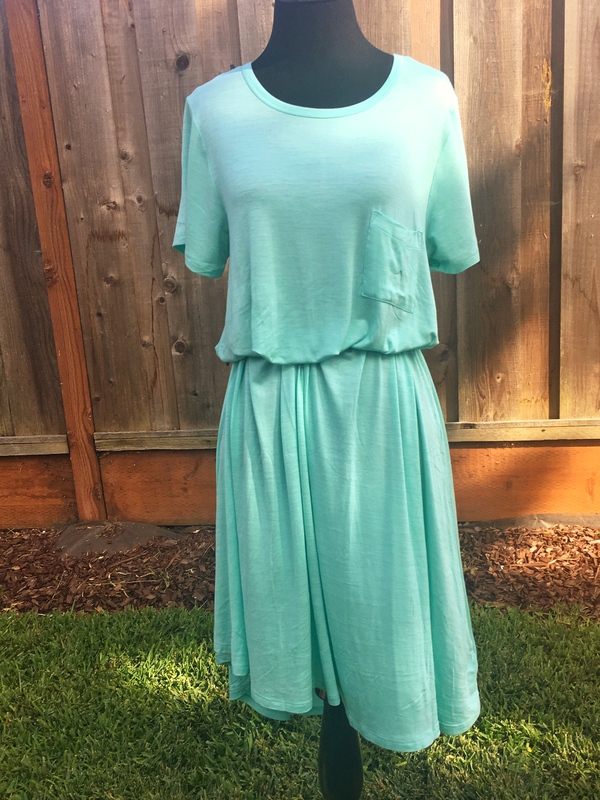 The top is a great way to add color to your outfit. Make sure the dress and top colors complement each other. The top can then be styled using tip 1-4 above. This experience was a lot of fun and very helpful. Lisa provided simple styling tips to use. 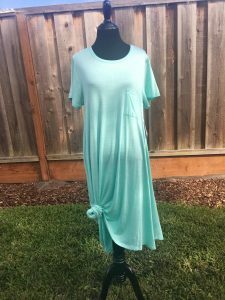 I would have never come up with all these different ways to style a Carly dress with items that I already have in my home. 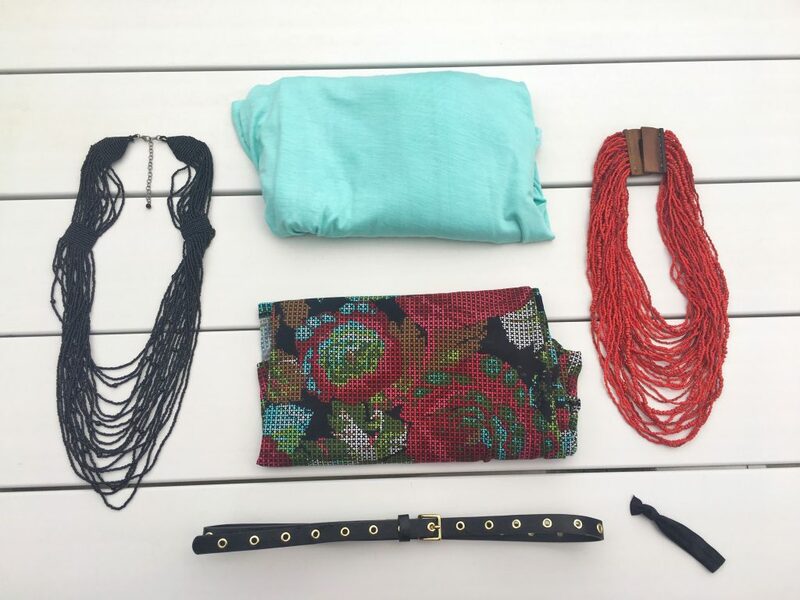 One dress can be a minimum of 6 different outfits with the right accessories. 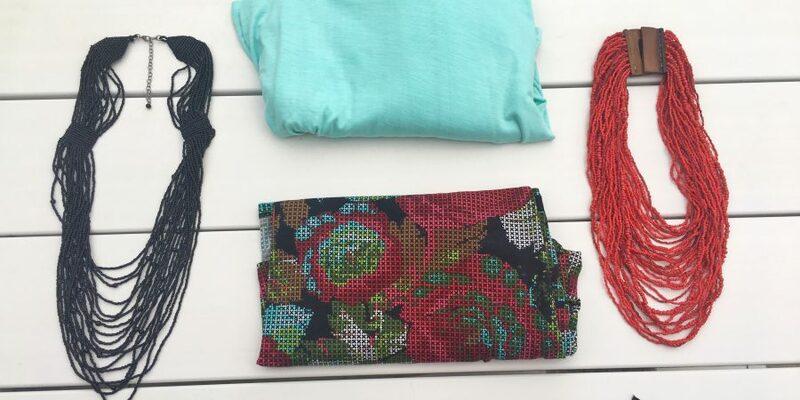 Lisa’s styling tips can be done in a few minutes. I put Lisa’s tips to the test in a follow-up video. The styling tips could each be done in less than a minute. I only struggled with getting the knots in Tip #2 to look perfect. My favorite look is Tip #3 with the hair rubber bands. 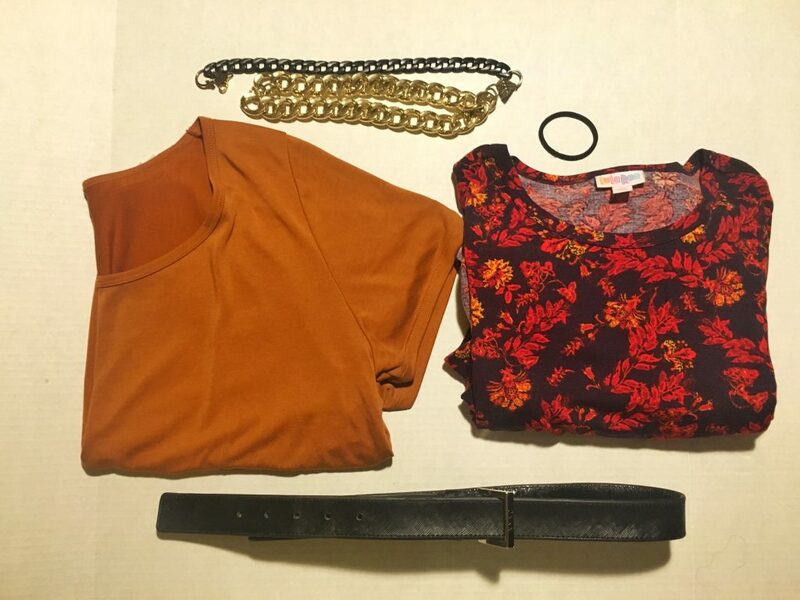 How do you style your outfits? 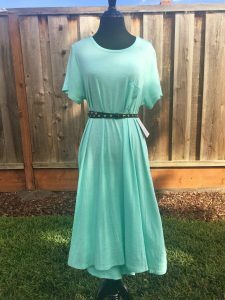 Ready for a LuLaRoe Carly dress of your own? Check out Lisa’s page here to see her inventory that changes daily! Thanks for the tips! 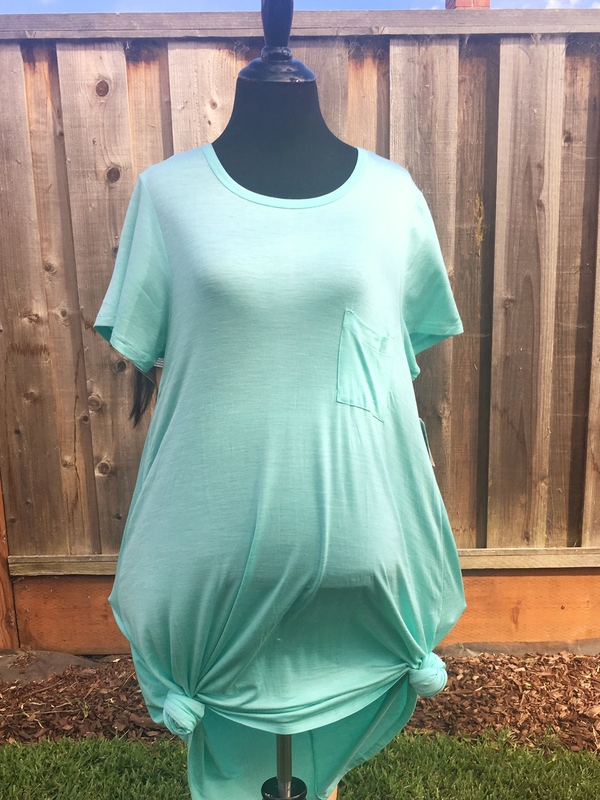 I love Lularoe! It looks so cute. It is always wonderful to be able to change up an outfit. You’re welcome. Yes, Lisa’s tips on how to style them are super helpful. Hope you are able to try some! 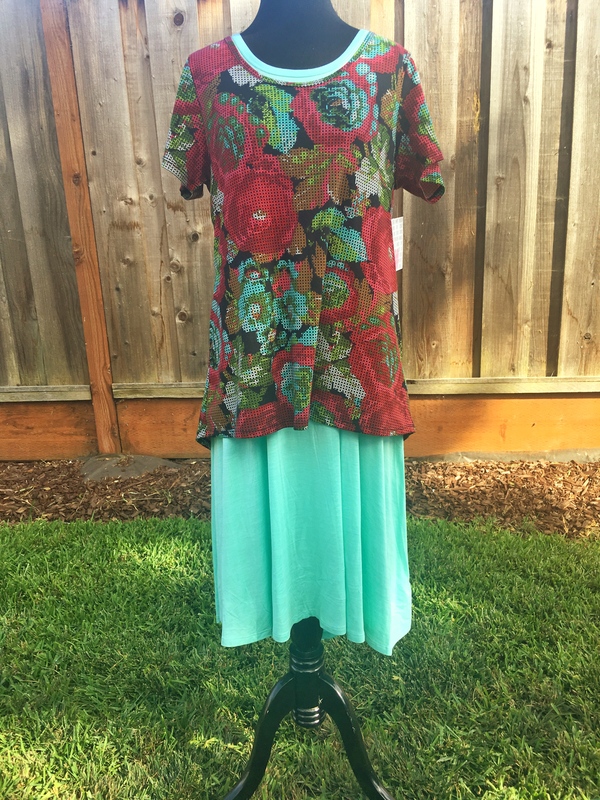 There is a fellow mom at my daughters school that often wears Lularoe – I LOVE THEM! They just look so comfortable. Unfortunately, I haven’t gotten around to buying one yet, but seeing how easy it is to change the look of them, I may have to now. 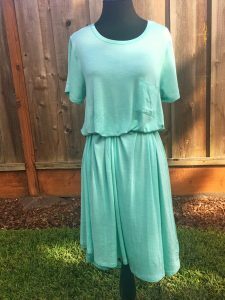 Interesting to know about LulaRoe clothing. The dress patterns are really good. The wearing styles are awesome. Thanks for sharing. Your tips are great liked it. These are some very useful tips especially when travelling and you don’t want to carry a lot of clothes. I have a few friends that are consultants as well. 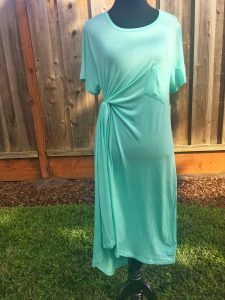 I’m totally going to pass on your tips as they are perfect for styling the Carly dress. Thanks for the info! You’re welcome. Hopefully, they find the tips helpful! A well-developed post with an amazing write-up, thanks for the tips. Great post. I used to be checking constantly this blog and I’m inspired! Very helpful information particularly the last section I maintain such info a lot. I was looking for this certain info for a long time. Thanks and best of luck.